Put Your Pet In The Spotlight. Fill out the form and send it with some pictures. Tell us your pet's story. What makes him or her so special. HELLO, HAPPY EASTER! MY NAME IS TINK. 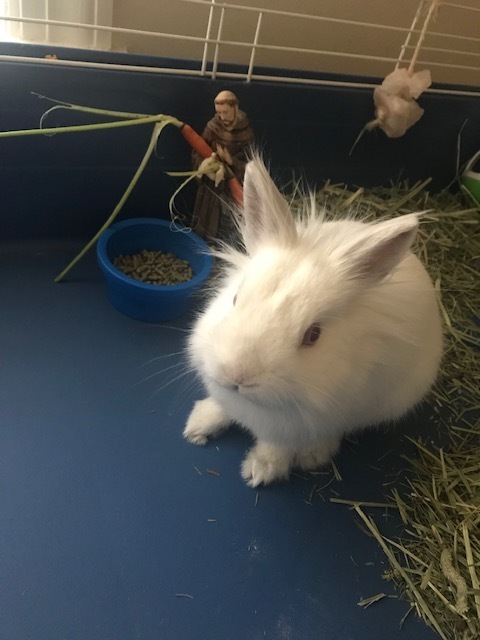 I AM A 1 YEAR OLD, FEMALE, DWARF, LION HEAD BUNNY. MOM NAMED ME TINK BECAUSE I’M LITTLE AND CUTE, LIKE TINKERBELL. SHE SAYS I’M ESPECIALLY CUTE WHEN I SNUGGLE AND FALL ASLEEP ON HER CHEST. I LOVE WHEN SHE GENTLY PETS ME AS I FALL INTO A DEEP SLUMBER. ADD SOME OF MY CARROT COOKIE TREATS AND I AM ONE HAPPY BUNNY. I WAS A RESCUE FROM MY MOM’S FRIEND. 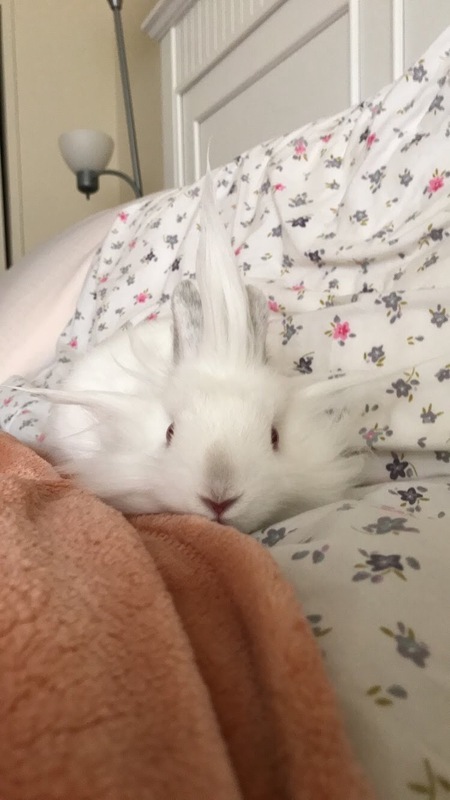 AS YOU CAN SEE FROM MY PHOTOS, I AM ADORABLE! 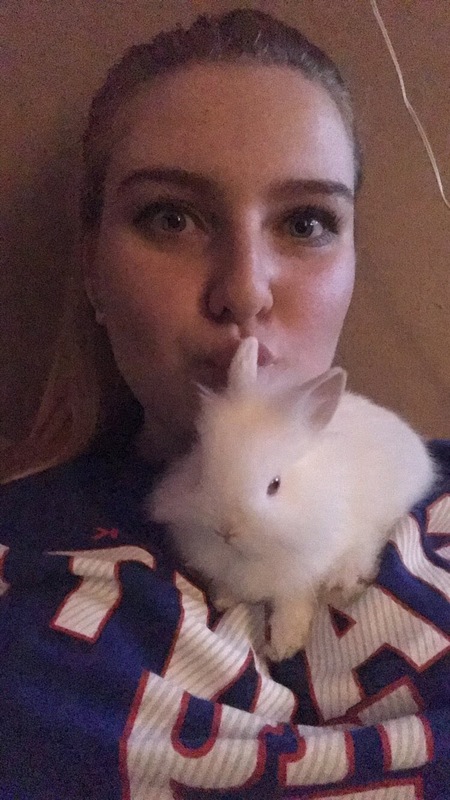 DWARF BUNNIES ARE AS LOVABLE AS KITTENS BUT WE ARE VERY FRAGILE. WE HAVE CURVED SPINES SO UNLIKE A CAT, WE SHOULDN’T JUMP FROM HIGH PLACES. I DO, HOWEVER, JUMP ON AND OFF THE COUCH WITH EASE. I AM PLAYFUL AS A KITTEN TOO. I LOVE PLAYING TOSS AND ROLL WITH MY BALL. ALTHOUGH, IT’S NOT AS POPULAR WITH MY MOM, IT’S ALSO GREAT FUN TO FLIP MY FOOD DISH OVER. 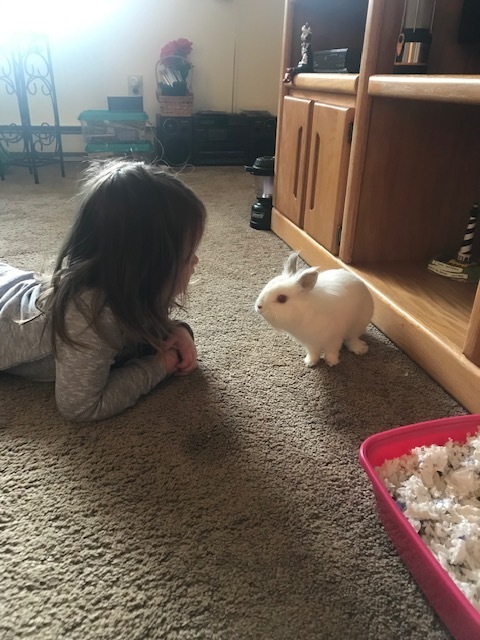 I’M A RABBIT AND LOVE TO HOP AROUND THE HOUSE. 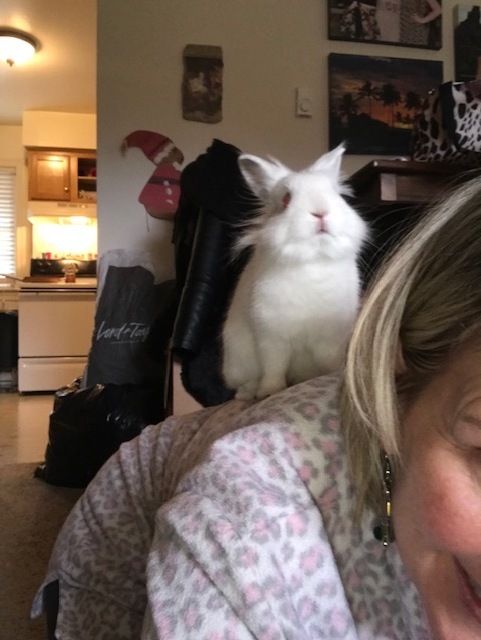 SOMETIMES, WHEN I GET REALLY REVED UP, I JUMP ON GRANDMA’S BACK. SOMETIMES, I’M NAUGHTY. I USE A LITTER BOX AND OCCASIONALLY, I GET A LITTLE MESSY. I LIKE TO KICK THINGS OUT OF MY LITTER BOX, IF YOU KNOW WHAT I MEAN. MY FAMILY GETS MAD WHEN I DO THAT. THEY ALSO DON’T LIKE WHEN I PLAY “HARD TO GET” WHEN THEY WANT TO GO TO BED. I RUN BACK AND FORTH BEHIND THE COUCHES. MY FAMILY LOVES ME AND I ADORE THEM.